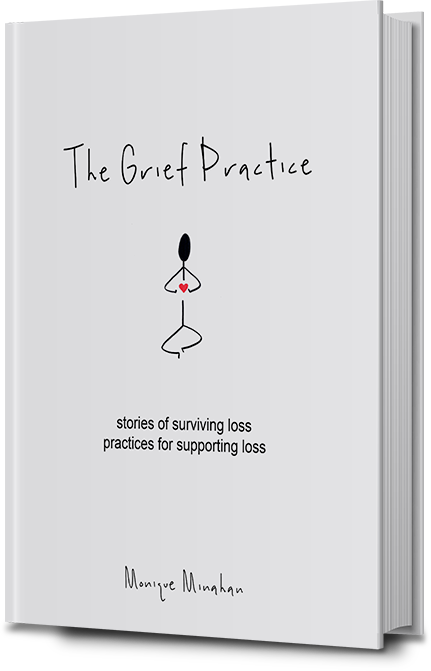 This the story of grief, as told by you—the many hearts and many voices, compiled together in book form, infused with practices designed to support the unfurling of what aches the most, with this companion website offering resources, as well as ongoing stories of living grief. We can’t know that when someone we love dies, a part of us, the person we were, dies too. How we love and lose; how we break, fall and crack apart; how we freeze often, immersed in the pain of losing the ones we love, certain that we will never recover our aching hearts. We give ourselves not quite enough time to heal, thinking we should be able ‘to be ourselves again’ after a week, month, year, or decade—but the truth is, once grief crashes in through the door, it never leaves for good. A constant companion, grief shifts shapes, expands and contracts from moment to moment and most of us spend far too long denying the existence or depth of our pain. In this world, the one wrapped around us now, we are only beginning to understand that freedom comes with telling truths about how we feel. When we share our stories, when we move our bodies and shake out the shadows, we create more space for healing. 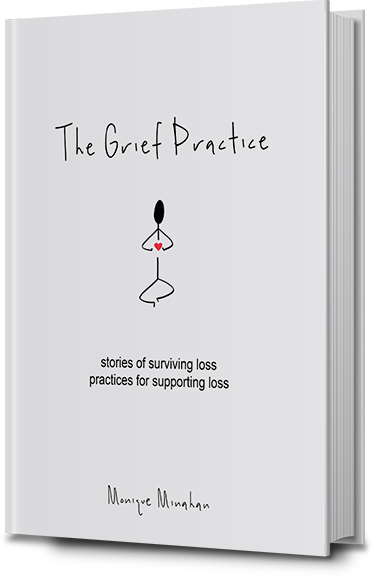 This is The Grief Practice.